Pleasanton, Calif. — Jan. 23, 2019 — Chief Executive Officer James Dwiggins and Vice President Imran Poladi of NextHome were recently recognized by T3 Sixty as prominent leaders in the residential real estate brokerage industry for 2019, making the list of most powerful leaders and the Watchlist. T3 Sixty, the leading management consultancy and research company dedicated to the residential real estate brokerage industry, annually publishes Swanepoel Power 200 (SP200) which definitively ranks real estate leaders and executives across the U.S. The rankings are intended to shed light on the leaders of the industry and do not reflect company rankings. In addition to this list, T3 Sixty also names leaders who are recognized as the industry’s up-and-coming leaders on the 2019 Watchlist. Dwiggins, who co-founded NextHome, Inc. in 2014 (which also owns Realty World Northern California & Northern Nevada), was ranked at 158 in 2017, 105 in 2018 and climbed higher on this year’s list of most powerful leaders, ranking at 72. 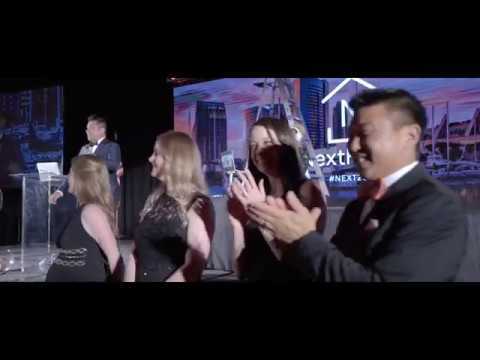 As a thought-leader, and recently named ‘Futurist’ by RISMedia, Dwiggins has successfully helped grow the NextHome franchise network to more than 450 real estate offices housing more than 3,600 agents nationwide in 2018. Poladi made the Watchlist that identifies and praises individuals who are innovators and movers-and-shakers in the real estate industry. Since his start at NextHome in 2014, Poladi has been responsible for overseeing franchise training, business development, as well as identifying and helping expand national partner relationships.